At the SME event in Minneapolis recently, Hecla Mining presented a paper in the Technical Program entitled Hecla’s Mobile Mechanical Vein Miner. Hecla’s Lucky Friday is an underground silver-lead-zinc mine that has been in operation for 75 years and produces from depths over 2.3 km below the surface. Technical issues at this depth include high rock temperature and seismicity. The Lucky Friday stress magnitude at depth is roughly similar to significantly deeper South African gold operations. The use of new innovative mechanisation is being examined for ore production. Principal advantages of mechanisation are the reduced exposure of personnel, reduced seismic triggers, and increased efficiency. Lucky Friday has partnered with Epiroc to design, build, test, and deploy a mechanical miner, the Mobile Miner 40V, for primary ore production. 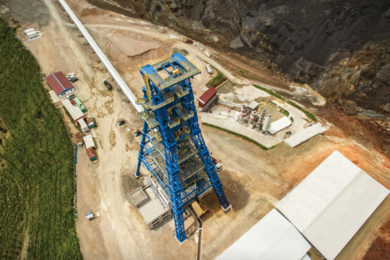 The primary mining method employed at the Lucky Friday mine since its inception is cut and fill. Prior to the 1980s, overhand cut and fill with hydraulic sand backfill was used. To minimise the size and occurrence of the seismicity, the advance line of the stopes was altered to a staggered pyramid or stair-step shape. Although the overhand stope advance geometry change reduced the magnitude of seismic events, it did not totally prevent them since pillars were still created. A study aimed at reduction in the seismic hazard was conducted in the late 1970s, with a recommendation to convert the method to a mechanised underhand approach. In the early 1980s, the mining method was changed accordingly, utilising an engineered cemented paste fill back. The method, termed the Lucky Friday Underhand Longwall (LFUL) converted the stope access from captive in-vein raises to a series of footwall spiral ramps with slotting to the vein. The original objective of the method was to create a downward-advancing longwall that would eliminate pillars and continuously shunt the stresses to abutments in advance of mining. This method is still currently in use and has been successful in reducing seismic occurrence and event magnitude through minimising the creation of pillars and reduction in the exposure of miners to the stope face area. The engineered cemented paste fill back has been very successful in improving stope ground conditions. In the mid-1990s, a major new vein (the 30 Vein) was discovered at depth beneath the historic Gold Hunter mine – about 1.6 km northwest of the Lucky Friday mine. Whereas the host rock mass at the Lucky Friday was a brittle and strong siliceous quartzite (the Revett formation), the 30 Vein is in weaker and heavily foliated argillite. All mining activity was transferred from the Lucky Friday vein to the 30 Vein (and associated parallel veins) in the late 1990s, with access to the 30 Vein via horizontal haulage drives from the Silver Shaft at the 4900 and 5900 Levels. The shallower depth and lithologic change to a weaker, more deformable rock mass resulted in a significant reduction in seismicity. At the current time, mining has progressed down-dip to approximately the 6300 Level, 2.2 km below surface. Exploration drilling below the advancing mining front has identified a prominent widening 30 Vein resource with increasing silver and base metal grades. The current reserve has been identified to about 7600 level and has been intercepted at over 8000 level. To exploit this deep resource, a decision was made in 2009 to begin construction on a winze from the 4760 Level to the 8620 Level (2.9 km) depth. This shaft was completed in January 2017. Confirmation of the cutability of the 30 Vein “package”, which consists of sulphide ore and gangue material of siderite (iron carbonate) and argillite was confirmed via linear cutter testing on large blocks of vein package material at the Earth Mechanics Institute of the Colorado School of Mines. This testing, using standard 17” steel disc cutters showed relatively easy cutting and spalling of rock chips using 75 to 100 mm (3 to 4 in) cutter spacings and moderate applied cutter forces. Additionally, due to the moderate abrasivity of the vein, cutter wear is expected to be low. An approximate 1½ year design program was initiated in 2015, culminating in completion of the design in early 2018 with manufacturing scheduled to be completed by early 2019. Currently, it is estimated that a 5-month testing phase will be conducted in a test mine at the manufacturer’s site, followed by shipment, re-assembly and proof-of-concept at the Lucky Friday mine starting in early 2020. The Mobile Miner consists of two major parts; the rear “power unit” and the front “miner.” The miner part incorporates the cutterhead and everything needed to excavate ore; the power module contains all the motors, pumps, ground support and control systems. Each unit is roughly 10 m in length. The two parts are connected by an articulation joint to improve manoeuverability for negotiation of tight corners as well as minimise vibration at the operator’s cab. 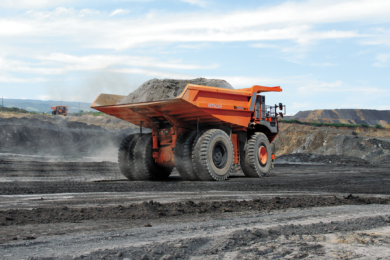 The miner has two track units and the power unit one twin track that can be controlled separately. To obtain better steering control of the power unit, the track is mounted on a slewing bearing allowing the trailer to swing sideways when the tracks are slewed 90°. The “miner” part consists of the thrust module, with cutterhead and front frame. During cutting, the thrust module moves the cutterhead in a forward, up-down or slewing motion while the front frame remains gripped to the excavation. The power system has two different modes, high power with 4160 V and low power with 480 V. The power for cutting is approximately ten times higher than what is needed for tramming. The motor control center is placed outside the stope on the sublevel of the ramp access to provide for a well ventilated, temperature controlled, accessible location. The Mobile Miner is equipped with a Rig Control System (RCS). This is a computerized control system based on CAN-bus technology. RCS is used for most communication and steering of actuators, sensors, lights and can also be used for remote control of the machine. RCS also has capability to log data if needed. The Hecla Mobile Miner Project is divided into six Phases: Phase 1 – Pre-Feasibility Study; Phase 2 – Feasibility Study; Phase 3 – Design; Phase 4 – Manufacture and Testing; Phase 5 – Test Trial at Epiroc test mine; Phase 6 – Field Trial at Lucky Friday mine The project is currently in Phase 4. The implementation plan of the Mobile Miner is envisioned to be in two phases. The first phase of implementation is to establish a true longwall face across the entire 30 Vein by advancing 12 stope to the same elevation as the adjacent stopes. 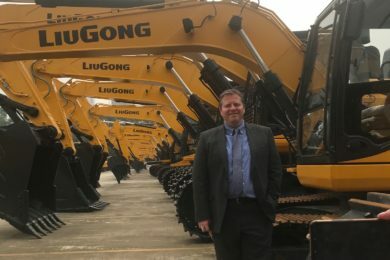 Since advance rates for the Mobile Miner are expected to be significantly faster than drill and blast, it is expected that the longwall can be achieved in roughly three years’ time. The second phase will be implementation of two machines bottom slicing the full minable strike length of the 30 Vein. 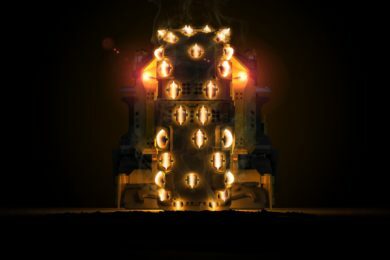 Phase 2 implementation will allow for a higher utilisation of the ore face by dedicating the full strike length to the machine and allowing nonmining activities to occur behind the advancing ore face. As the miner exits the vein, it will move out through the slot to the sublevel and loop back around to start the next cut. It is planned to utilise two machines mining on successive, staggered horizontal cuts with a lead/lag of approximately 300 m. This means that the lower miner will be excavating beneath paste fill placed behind the upper miner. Backfilling of the vein will be done behind the advancing Mobile Miner after it has passed each slot access point (and a new stope entry/exit is established), thereby removing backfill activity from the critical path of ore mining.